I have been meaning to post a picture of these beauties for several months! One of my very talented brothers made these for me for Christmas. 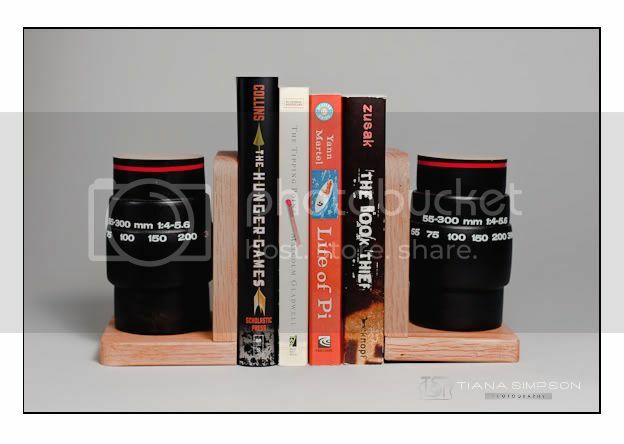 Bookends that look like camera lenses! What's that second book? The Tipping Point? What's it about? ?I tried the Book Thief and can't quite get excited about it.